The regular height, All Wood Classic 4-Tier Tree model is thirty-two inches and is also available in a tall version (which add about 14 inches to the height). It is a modular designed tree with both models haveing 1 small, 1 medium and 2 large Cedar Flats. An Inline version of the tree is available allowing the posts to line up which can help in areas where space may be limited. All of the All Wood trees may be used outdoors or indoors to aid in maintaining a "near" hypoallergenic environment. 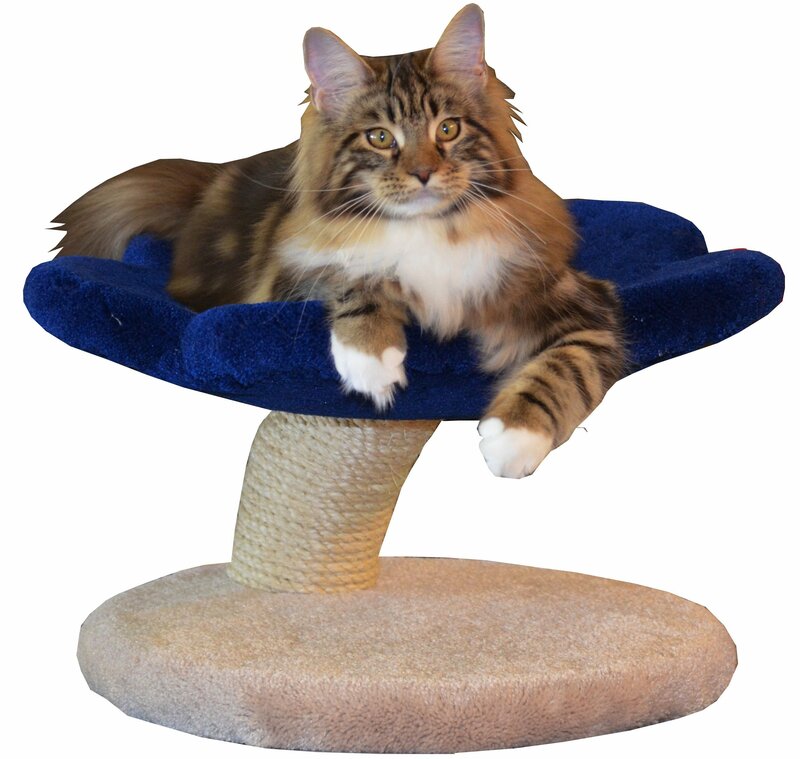 However, a Sisal Rope option is available for indoors that gives your cats somewhere to scratch other than your furniture and rugs.